Intervid’s access control solutions range from card/proximity access systems to biometric fingerprint keypad technology. Intervid supplies, installs and maintains access control solutions in a variety of sizes ranging from enterprise corporate systems to simple keypad access for remote stand-alone locations, we can accommodate all types of requirements depending on your access control risks. Intervid makes use of the most advanced, best of breed access control solutions to provide our clients with peace-of-mind and control over who is authorised to enter facilities, as well as extensive reporting and trends analysis on past events. In line with the industry's convergence trend, we advocate network-based systems using ethernet controllers with IP interface which allow access control systems to be readily interfaced to other site facilities such as elevator access control, point of sale terminals, vending machines for cashless transactions and parking management with vehicle tags. Organisation wide accountability is garnered through a correctly maintained and monitored access control solution. High risk environments benefit hugely from integrated biometric or smart card access control solutions. Intervid has partnered with a number of leading access control brands, these include Idemia (previoulsy known as Sagem Morpho), ZKTeco, Paxton, Impro, and Softcon. 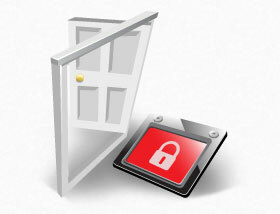 We can provide you with a wide array of access control solutions to suit your organisation's specific needs. Intervid is a leading Southern African access control systems installer with offices in Durban, Johannesburg and Cape Town. Contact us here for a quote or call us on 086 001 8103.